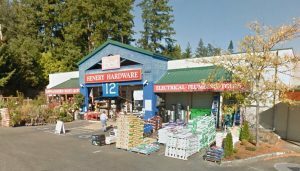 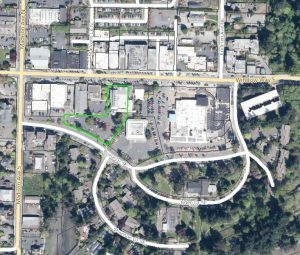 A bank has begun the process of foreclosing on a 13-acre commercial property near Poulsbo’s Central Market. MUFG Union Bank filed a complaint in Kitsap Superior Court earlier this month seeking to foreclose on the property and appoint a receiver. 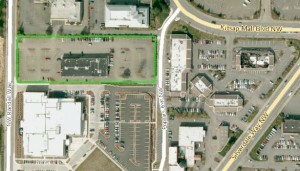 The undeveloped land is located on the east side of 10th Avenue, just south of Central Market (see inset image). 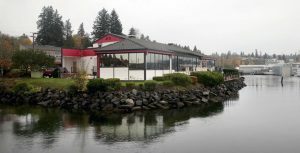 The property is owned by the Hern family, former owners of the Courtesy Auto chain of dealerships on Viking Avenue. According to court documents, the Herns borrowed $10.3 million from Frontier Bank in 2009. 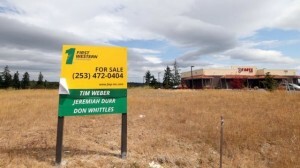 Frontier failed a year later and Union Bank acquired its assets. 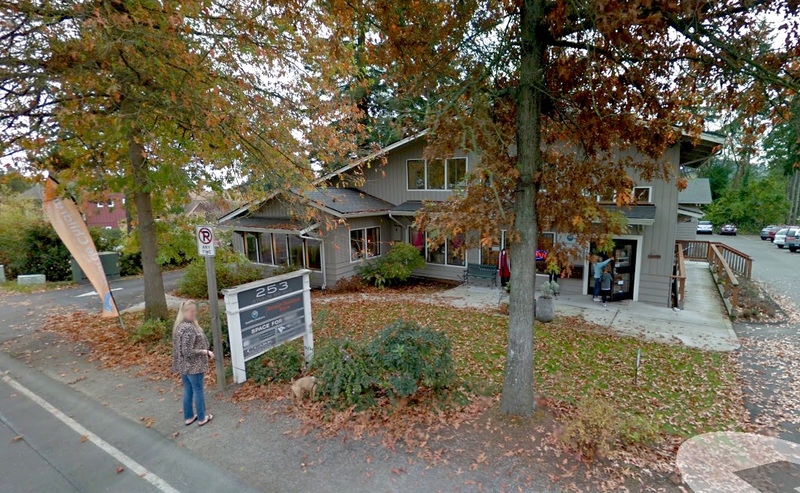 Union Bank is seeking compensation for $11.24 million in unpaid loan principal, interest and other fees. 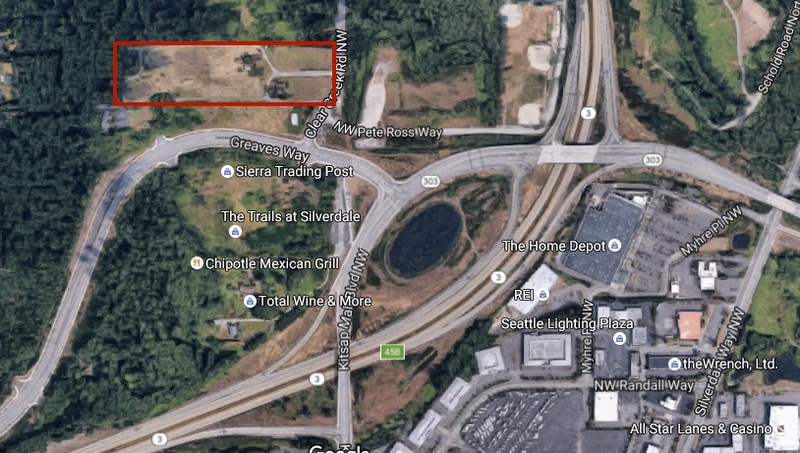 All of the Courtesy Auto properties were sold off in recent years. 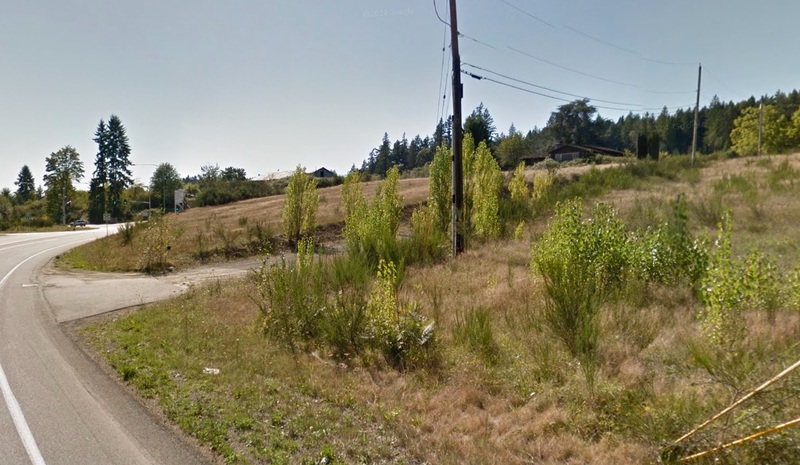 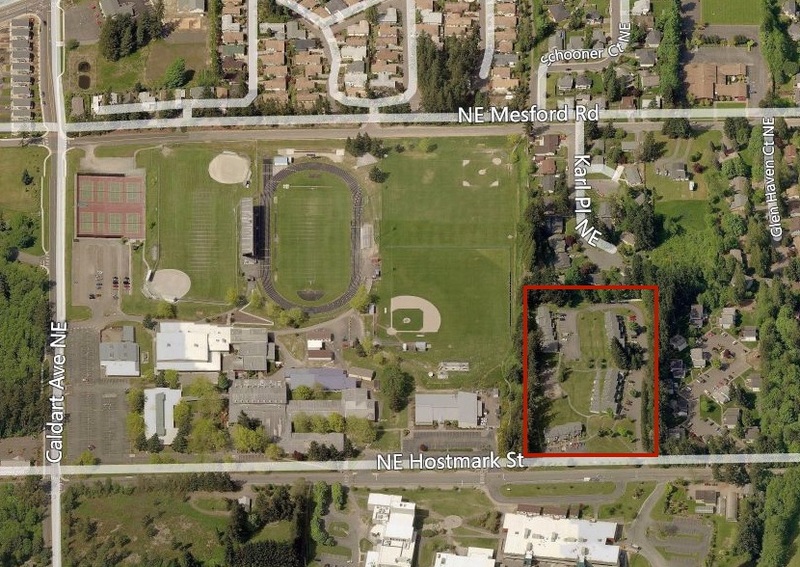 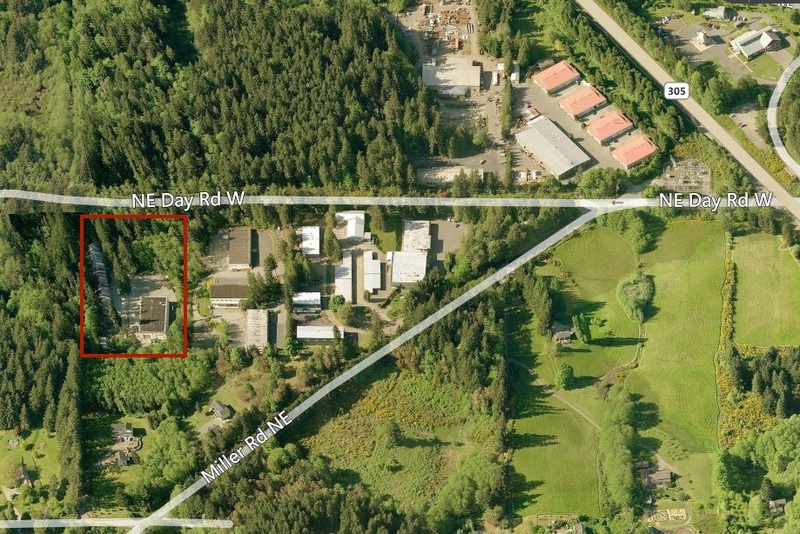 The 10th Avenue parcel is the Hern’s last Poulsbo property. 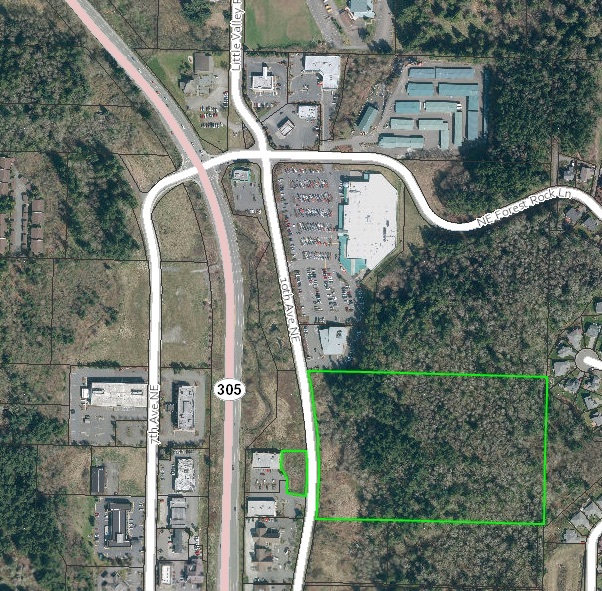 Zoned commercial as part of the city’s Highway 305 Corridor district, the land has an assessed value of $977,000. Union Bank is the same institution that forced the sale of undeveloped commercial parcels in Poulsbo’s College Marketplace last year. The bank took ownership of the land after no other bids were entered. 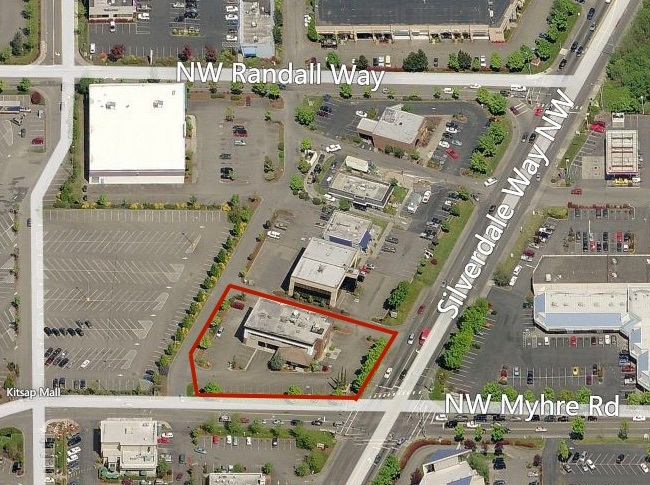 The $3.1 million sale of the Regal Cinemas in Silverdale to Newlife Church was among the notable commercial transactions closed in Kitsap County during the last three months of 2015. 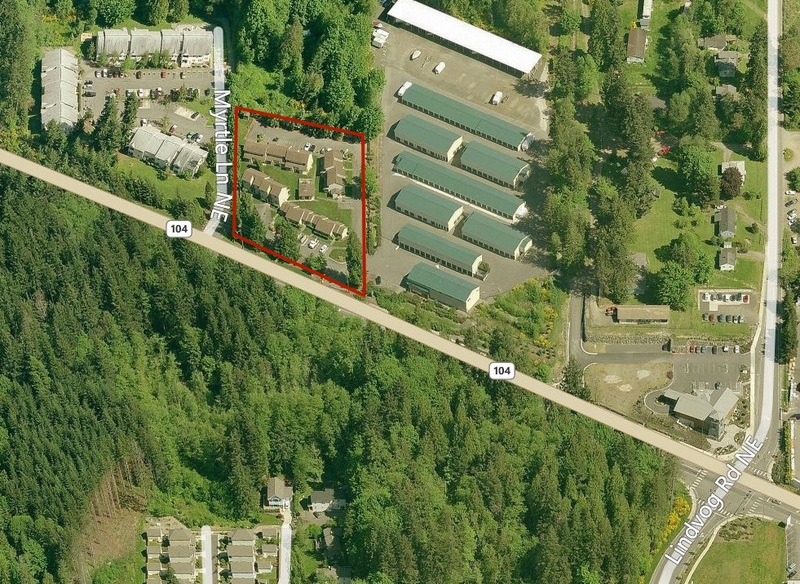 By far the largest, however, was the foreclosure sale for 42 vacant parcels in Poulsbo’s College Marketplace. 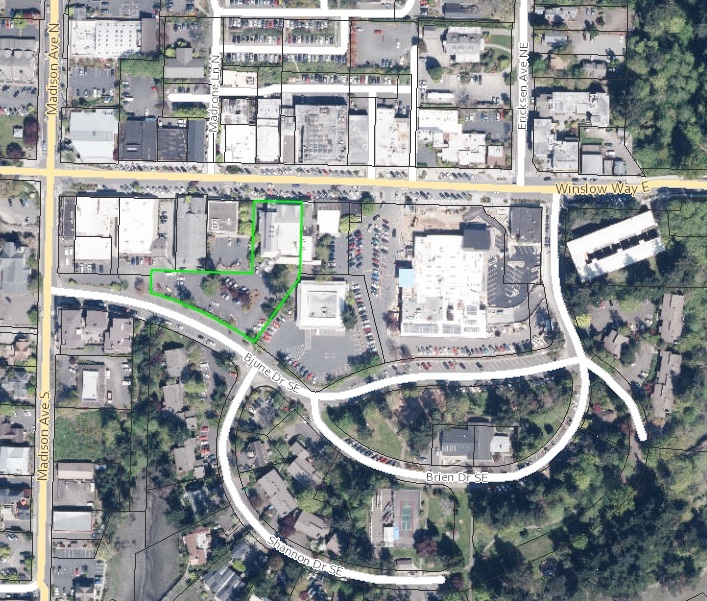 MUFG Union Bank, which forced the sale, took ownership of the properties for a recorded sales price of $8.17 million. 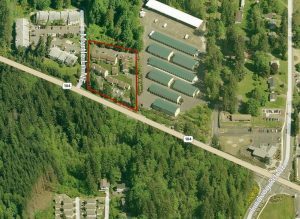 A total of 85 commercial parcels changed hands in the fourth quarter of 2015 for a combined $23.6 million, according to county assessor’s records. 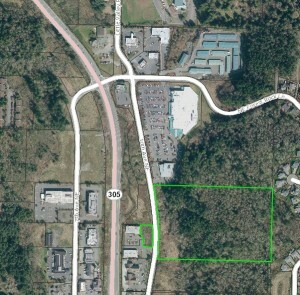 Description: 42 tax parcels in the College Marketplace development in Poulsbo, adjacent to Walmart and Home Depot. 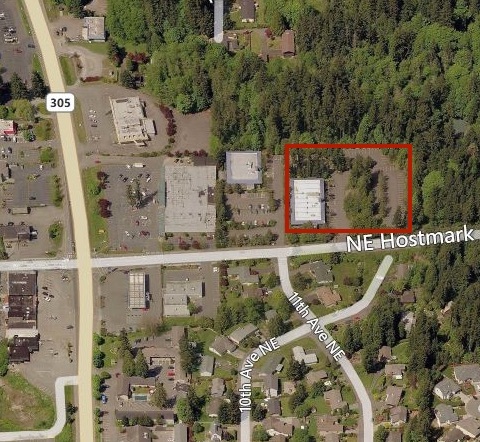 Notes: Previous owner was Olhava Associates Limited Partnership of Edmonds. 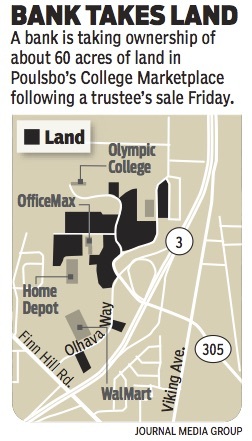 Olhava defaulted on loans issued by Frontier Bank. Union Bank was the successor to Frontier Bank, which was closed in 2010. 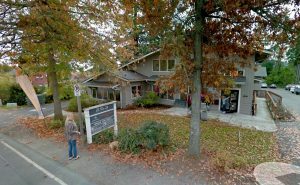 The College Marketplace properties are still listed for sale. 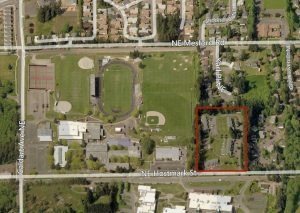 Description: A 15,000-square-foot cinema on 2.6 acres at 9923 Poplars Ave.